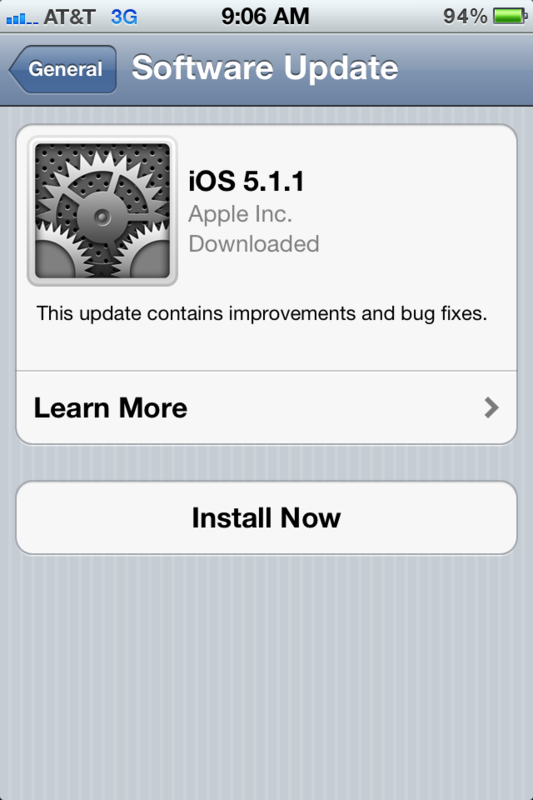 Apple has now released an updated iOS to 5.1.1 which is available to users through iTunes and OTA update. We have the download links below for the devices, but if you have an untethered jailbreak on 5.0.1 we suggest you stay away from it. While i0nic already has proof of 5.1 and 5.1.1 untethered on a new 3rd gen iPad and other developers such as Pod2g are currently working on an exploit, there’s not timeframe of availability to the public. You are able to have a tethered jailbreak on 5.1.1 on devices other than the iPhone 4S, iPad 2, and new iPad by using RedSn0w 0.9.10b8b. 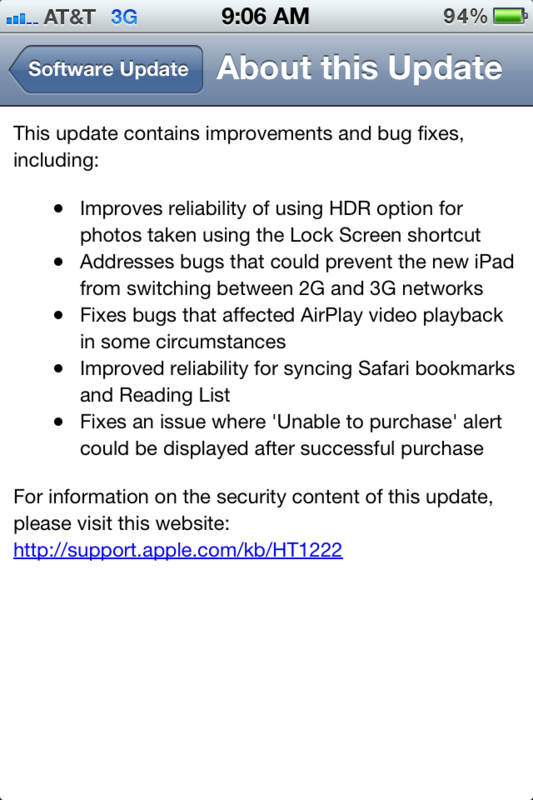 Those who could care less of jailbreaking can go ahead and update to iOS 5.1.1 by plugging your device into your computer and selecting “Check For Updates” in iTunes or by going to Settings -> Software update on the device.